Armin van Buuren, currently preparing for his extensive ASOT 550 world tour, has received eight nominations for the International Dance Music Awards. The critically acclaimed award show will take place on March 22nd during the Winter Music Conference in Miami. The voting ballot is open until February 31st. The Dutch DJ/producer, who won six of the prestigious awards last year, is now in the running for winning the awards for ‘Best European DJ’, ‘Best Global DJ’ and ‘Best Producer’, as well as ‘Best Radio Mix Show DJ’ and ‘Best Podcast’ for his A State of Trance show, ‘Best Full Length DJ Mix’ for the A State of Trance 2011 & Universal Religion Chapter 5 compilation and ‘Best Trance Track’ with his Nadia Ali collaboration ‘Feels So Good’. Armada Music, the record label of which Armin is the co-founder, won the ‘Best Global Record Label’ three years in a row and is once again nominated for the much-wanted award. 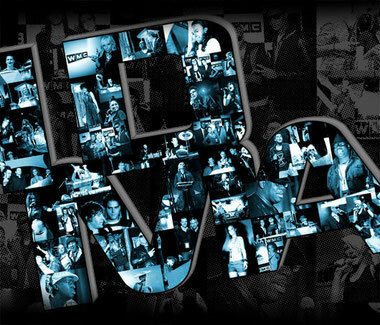 Armada has received no less than 17 nominations for this year’s International Dance Music Awards. Maykel Piron, Managing Director of Armada Music, might be doing a hat-trick for the ‘Best Record Label Executive’, after receiving the award in 2010 and 2011. Dash Berlin, Shogun and Armin van Buuren are nominated for ‘Best Trance Track’ and Tenishia for ‘Best Chillout Track’. American DJ/ producer Markus Schulz is in the running for ‘Best American DJ’, ‘Best Global DJ’ and ‘Best Radio Mix Show DJ’. Ørjan Nilsen, who released his debut album on Armada Music last year, now enjoys his nomination for ‘Best Break-Through DJ’. The 27th edition of the Winter Music Conference will take place in Miami, USA, on March 16-25. With over 60,000 visitors from over 70 different countries, including DJs, label owners and other delegates of the dance scene, the WMC is one of the major happenings in the dance music industry. One of the most anticipated events during WMC is the International Dance Music Awards show. The IDMA generate over two million votes from music enthusiasts in 183 countries every year. During the award show, awards in 55 different categories will be rewarded. Voting ends Thursday March 1st, 2011. First of all I would like to say excellent blog! I had a quick question which I'd like to ask if you don't mind. I was curious to find out how you center yourself and clear your head prior to writing. I've had difficulty clearing my thoughts in getting my thoughts out. I truly do enjoy writing however it just seems like the first 10 to 15 minutes are usually wasted just trying to figure out how to begin. Any suggestions or tips? Many thanks! Having read this I believed it was rather informative. I appreciate you finding the time and effort to put this information together. I once again find myself spending a lot of time both reading and commenting. But so what, it was still worthwhile!